Cortana is the new big thing after the likes of Siri and OK Google. Unfortunately, it is not available in all the regions of the world. Especially only the ones where a majority of people don’t speak English. Although restrictive, this is to make Microsoft’s job easier of optimizing Cortana for one region instead of whereabout-ing for the whole world. From the official sources, Cortana is only available in China, France, Germany, Italy, Spain, United Kingdom, and the United States. The languages for which it is available are Chinese (Simplified), English (U.K.), English (U.S.), French, Italian, German, and Spanish. The list is good, but for some of us who want to use every feature of Windows 10, this is a tad bit annoying. Fortunately, enabling Cortana is a very simple thing in Windows 10. All you have to do is tinker a bit with the regional settings. Continue reading for the steps. Go the Settings > Time & Language > Region & language. Under the Language heading, click Add a language and search for English on the search page. Select the English (United States)/ (United Kingdom). 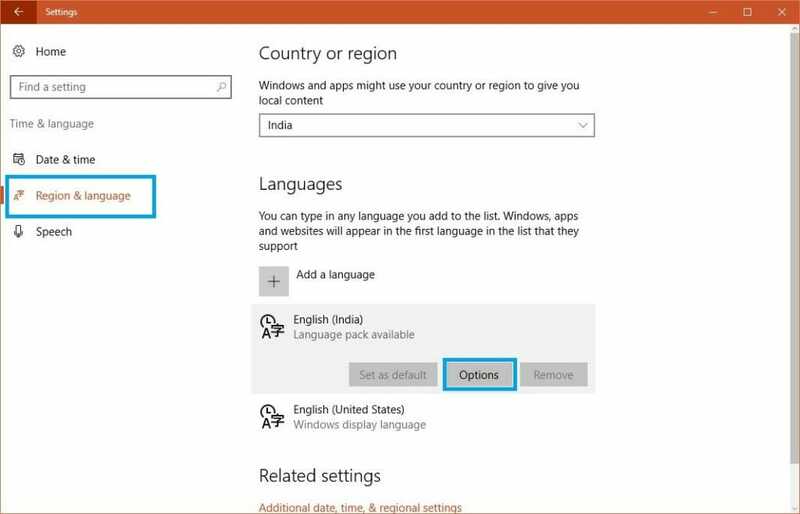 This will list your selected language pack on the Region & language page. Click on Options and then press the Download button. You can additionally download the basic typing, handwriting and speech add-ons for your language. But that stuff is optional. Once that is done, go to the previous page and click on Speech. Here, below the Speech-language heading, select the language in the drop-down menu which you downloaded in the previous step. Close everything and Reboot your PC for the changes to take effect. After restarting your PC, you can use Cortana and all its features. One thing that you need to keep in mind is that changing your region and language from the defaults can sometimes stop Windows store from working correctly. Things like payment, subscriptions, games and movies won’t be available for you to download. So, its up for you to decide between Cortana and Windows store.